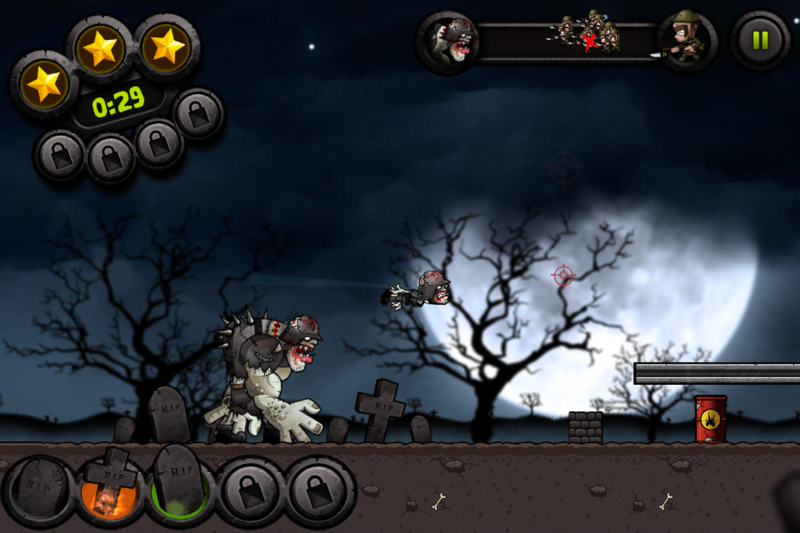 The soldiers charge from the far right side of the screen. You’ll need to stop them before they reach Chuck because they’ll start shooting the moment they can. He has some health he can lose, though it will cost you your stars. Ideally you’d complete the level with three stars. Zero health, zero stars. Select the kind of zombie you’d like to throw from the menu below Chuck. He’ll dig into the ground and pull up a fresh corpse for you. Then you simply tap him and where you would like to fling the zombie. 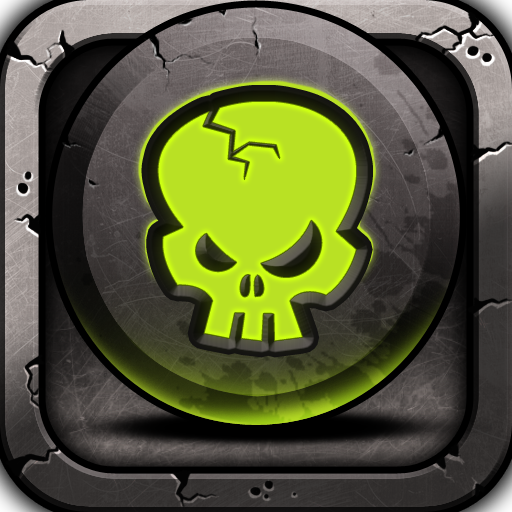 Watch as the zombies splatter into the troops, earning the game its “gibs” title. 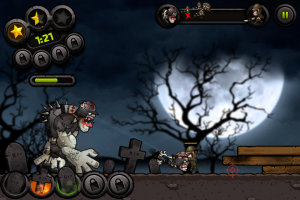 Each zombie has different properties, all useful for stopping the soldiers. The hard hat zombie is your bread and butter. It will roll like a cannonball, toppling anyone or anything in its way. It’s especially useful for exploding fuel drums. What’s interesting about this game is that you don’t have to play to unlock further levels: they’re all unlocked. It would be a good idea to start off from the beginning, but feel free to try the harder levels if you’re feeling bored. In addition, a game editor exists for the iPad version, meaning you can either make your own levels or play other user-created ones. The game’s store also adds some variety. 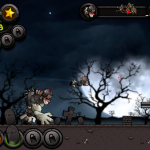 Cash in your stars to buy different types of zombies and other goodies. Your game information is saved in Game Center, meaning you can hop on either your iPhone or iPad and keep your progress. All of your purchases are remembered as well. 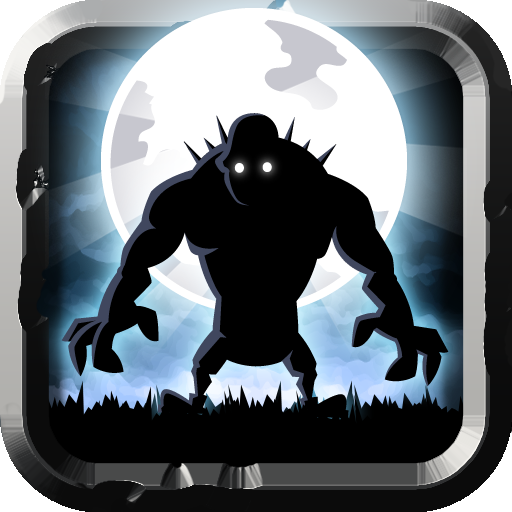 This is an awesome game that’s sure to appeal to zombie fans, especially those who enjoyed the developer’s other title, Stenches: A Zombie Tale of Trenches.